Subject: You won $400,000,00! Yahoo! Mail congratulates you! You won $400,000,00! Yahoo! Mail congratulates you! which is organized by YAHOO!. selected All Over The World. For This Fourth Random For The Year 2012. These Are Your Winning Identification Numbers. . . .
* REFERENCE NUMBER . . Uknf 23 441 753 271 9746. FD2349QUID. In view of this, your won prize Cheque money of $400,000.00 U.S.
1.FULL NAMES. . . . . . . .
2.COUNTRY OF ORIGIN. . . . . .
3.DATE OF BIRTH. . . . . . . .
4.OCCUPATION. . . . . . .
5.TELEPHONE NUMBERS. . . . . .
6. TICKET AND LOTTO NUMBER . . . . . . .
7. SERIAL NUMBER . . .
DISQUALIFIES YOU FROM GETTING YOUR PRIZE. Has been transferred to my account. am the pillar in my family because of my financial strength''. `` Man, I'm really a winner! Waooo me immense pleasure! ! " AKAN BELAJAR DARI KESALAHAN SAYA. PEACE. AZLEEN BINTI OTHMAN [Malaysia Four Hundred Thousand Dollars. other person other than the intended addressee. Dr.Ronny Smith Head of Administration. US TO FIGHT THE ACTIVITIES OF IMPOSTORS. HOA NING WILLIAMS TIAN, S.A.T,(PRINCIPAL PARTNER)ADDRESS: 141B GUANG DONG LANE,BEIJING CHINA. PROCUREMENT OF THE LEGAL CERTIFICATES. WE THANK YOU FOR ENGAGING OUR SERVICES FOR THIS AND WOULD WISH TO GIVE YOU THE BEST SERVICES REQUIRED OF US. IN THAT RESPECT, AFTER OUR PRINCIPAL PARTNER HOA.NING WILLIAMS TIAN INSTRUCTED OUR SOLICITOR (1), MRS.CHEN FANG TO FIND OUT FROM BANK OF CHINA, THE MINISTRY OF JUSTICE AND ALSO THE FEDERAL HIGH COURT, THE REQUIREMENTS FOR THE PROCURATION. IT WILL TAKE A MAXIMUM OF TWO DAYS TO COMPLETE THE PROCUREMENTS AND THE NEXT DAY TO SIGN YOURWON PRIZE MONEYRELEASE ORDER WITH YOURPRIZE PROCESSING BANK. 4.A POWER OF ATTORNEY EMPOWERING THIS HONOURABLE CHAMBERS TO ACT ON YOUR BEHALF ACCORDINGLY IN ALL MATTERS REGARDING YOUR WON PRIZE MONEY. 1.YOU ARE REQUESTED TO SEND TO THIS OFFICE A POWER OF ATTORNEY EMPOWERING THIS HONOURABLE CHAMBERS TO ACT ON YOUR BEHALF ACCORDINGLY IN ALL MATTERS REGARDING YOUR WON PRIZE MONEY. 2.YOU ARE ALSO REQUESTED TO SEND TO THIS OFFICE AN INTERNATIONAL CONSULTATION FEE OFFOUR HUNDRED UNITED STATES DOLLARS ($400), AND OUR SERVICE CHARGE FEESEVEN HUNDRED DOLLARS(700 DOLLARS ). 3.THE REQUIRED CERTIFICATES TO BACK UP YOUR CLAIM WITH THEBANK OF CHINAHAS TO BE PROCURED IN THE MINISTRY OF JUSTICE AND SIGNED BY THE ATTORNEY GENERAL IN THE PRESENCE OF THE COMMISIONER OF OATHS AND THE COURT REGISTRAR. ALL THESE DOCUMENTS ATTRACTS A STAMP DUTY FEE OF FIFTY UNITED STATES DOLLARS($50) EACH.THERE ARE FOUR CERTIFICATES TO BE PROCURED ON YOUR BEHALF. 4.THESE CHARGES ARE FROM OUR INVESTIGATIONS FROM THE MINISTRY OF JUSTICE AND ALL CONCERNED PARASTATALS, SUBSEQUENTLY THE TOTAL CHARGES REQUIREDTO BE PAID BY YOU AMOUNTED TOONE THOUSAND,THREE HUNDREDUNITED STATES DOLLARS($1,300USD) ONLY. 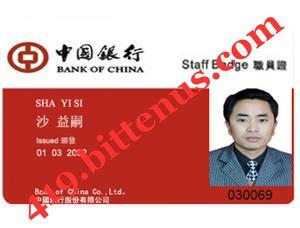 WE HAVE HANDLED SIMILAR TRANSACTIONS OF THIS NATURE BEFORE AND IT WILL TAKE JUST MAXIMIUM OF TWO WORKING DAYS TO HAVE THESE CERTIFICATES PROCURED ON YOUR BEHALF AND HAVE THE ORIGINALS SUBMITTED TO THEBANK OF CHINAAND A COPY SEND TO YOU FOR YOUR PERUSAL AND RECORDS. YOU ARE ADVISED TO EFFECT OF THE ONE THOUSAND,THREE HUNDRED UNITED STATESDOLLARS($1,300 DOLLARS ) TO OUR SOLICITOR MR. ZHUJI DASHANG CO TO ENABLE US COMMENCE DOCUMENTATION FOR THE CERTIFICATES IMMEDIATELY. WE HAVE COMMUNICATED WITH THE YOURWON PRIZE MONEYPROCESSING BANK AND THEY INFORMED US THAT OUR SERVICE CHARGE AND PROCUREMENT CHARGES CAN NOT BE DEDUCTED NOR WITHDRAWN FROM THEPRIZE FUND UNTIL THE FINAL FUND RELEASE ORDER HAVE BEEN SIGNED, BUT FOR FURTHER CLARIFICATION YOU ARE ADVICED TO GET IN CONTACT WITH YOURWON PRIZE MONEYPROCESSING BANK,BANK OF CHINAFOR FURTHER CLARIFICATION IF YOU DO WISH. YOU ARE THEREFORE ADVICED TO SEND THE ABOVE MENTIONED CHARGE TO ENABLE US PROCURE ALL THE DOCUMENTS. ONCE MORE WE THANK YOU FOR THE INTERNATIONAL RECOGNITION. THE INFORMATION CONTAINED IN THIS ELECTRONIC MESSAGE AND OR ANY ATTACHMENTS IS INTENDED FOR ONE OR MORE SPECIFIC INDIVIDUALS OR ENTITIES, AND MAY BE A CONFIDENTIAL, PROPRIETARY, PRIVILEGED OR OTHERWISE PROTECTED BY LAW. IF YOU ARE NOT THE INTENDED RECIPIENT, PLEASE NOTIFY THE SENDER IMMEDIATELY, DELETE THIS MESSAGE AND DO NOT DISCLOSE, DISTRIBUTE, OR COPY IT TO ANY THIRD PARTY OR OTHERWISE USE THIS MESSAGE. ELECTRONIC MESSAGES ARE NOT SECURE OR ERROR FREE AND CAN CONTAIN VIRUSES OR MAY BE DELAYED, ANDAJAEROS JUSTICESCHAMBERS ARE NOT LIABLE FOR ANY OF THESE OCCURRENCES. THEAJAEROS JUSTICESCHAMBERS RESERVES THE RIGHT TO MONITOR, RECORD AND RETAIN ELECTRONIC MESSAGE. Subject: RE:AJAERO FOR JUSTICE CHAMBERS PAYMENT DETAILS. WHEN YOU PAY IN OUR SERVICE CHARGE FEES OF $1300USD YOU SHOULD FORWARD TO US YOUR PAYMENT SLIP COPY SO WE CAN PROCEED FOR THE PROCUREMENT OF YOUR LEGAL DOCUMENTS IT WILL TAKE US 48HRS TO PROCURE ALL THE LEGAL DOCUMENTS THEN WE SHALL SUBMITED IT TO THE PROCESSING BANK INCHARGE OF YOUR WON PRIZE MONEY BANK OF CHINA WILL CONTACT YOU TO SEND YOUR ACCOUNT INFORMATION FOR TRANSFERING OF YOUR WON PRIZE MONEY. BANK NAME:INDUSTRIAL AND COMMERCIAL BANK OF CHINA.